Time Warner Cable and Roku have announced plans to bring the cable provider’s television app to the streaming set-top box later this quarter. The TWC TV app allows subscribers to stream more than 300 channels of live programming and is significant as it’s the first time that Time Warner Cable is allowing a third party television device to access live content. As The Verge points out, Time Warner already allows the app on smartphones and tablets but on the Roku box, it’ll essentially become another cable box for subscribers. It’s also a major step for the industry overall, said Anthony Wood, Roku’s founder and CEO. As we all know, content owners and providers have been extremely strict with how they manage programming in recent years. The idea that at least one provider is loosening its grip on content is hopeful, if nothing else. There are a few restrictions to be aware of, however. Much like how the app works on Android and iOS devices, TWC TV for Roku will need to be run from a subscriber’s network – meaning, in-house. You won’t be able to take the box to a buddy’s house and watch live television there. Also, while Time Warner touts over 300 channels of live television, note that you’ll only have access to channels that are part of your cable package. 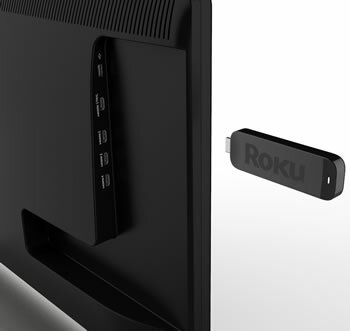 The app will be available for the Roku Streaming Stick, Roku 2, Roku HD and the Roku LT later this quarter, we’re told.